It’s been a decent while since the last Transformers game although the gap wasn’t incredibly long or anything like that. 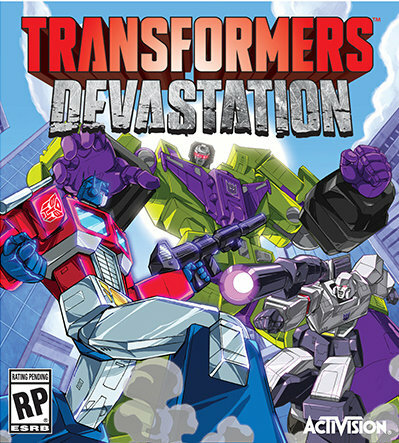 Devastation got a lot of hype before it came out and I was certainly on board as well since my favorite iteration of the Transformers would be returning. The game lives up to the hype and then some with the only weakness being the game’s short length. Aw well, short games let me really feel the experience in a short burst so I can roll with that. It starts out like a classic Transformers episode. The Decepticons are causing trouble so the Autobots storm the city to save everyone. The humans have already been evacuated so they don’t need to worry about that, but hundreds of insecticons have flooded the city and Megatron’s plans for conquest are not even close to being finished. 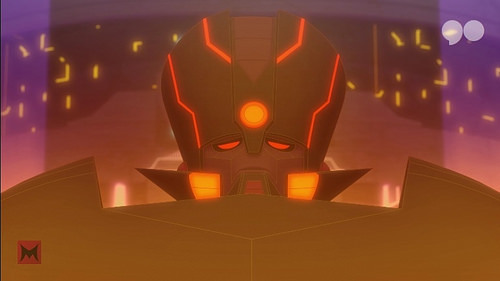 He wants to terraform the planet…or cyberform in this case so that Cybertron can virtually live on Earth again. 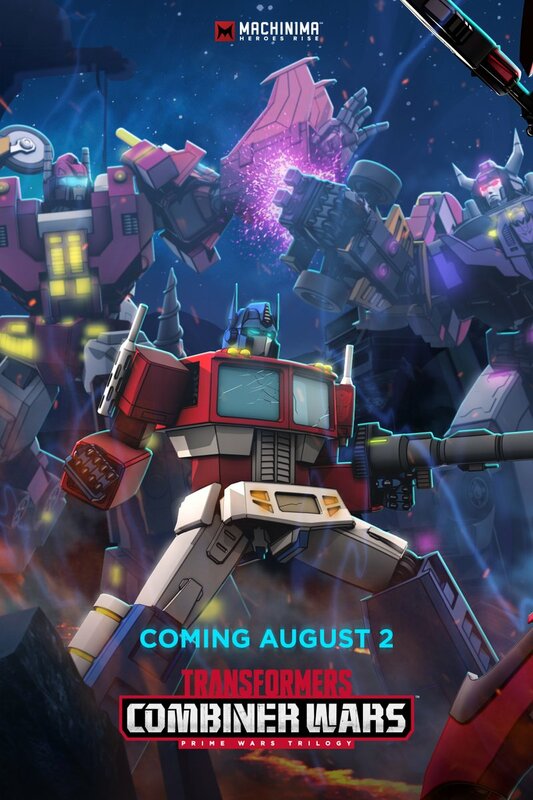 Prime and the other Autobots are a little hesitant to stop him because it may involve destroying the entire history of Cybertron (Kept on a device) but if it’s the only way…then they shall be ready! Devastation is a very fast paced game. You’re thrown right into the action and are confronted with bosses and enemies at every turn. The game was done by Platinum and I mostly know them for their reputation through Bayonetta as one of the best game developers in the biz. I can certainly see why they are known as such a great company as the gameplay is tight and very exciting. 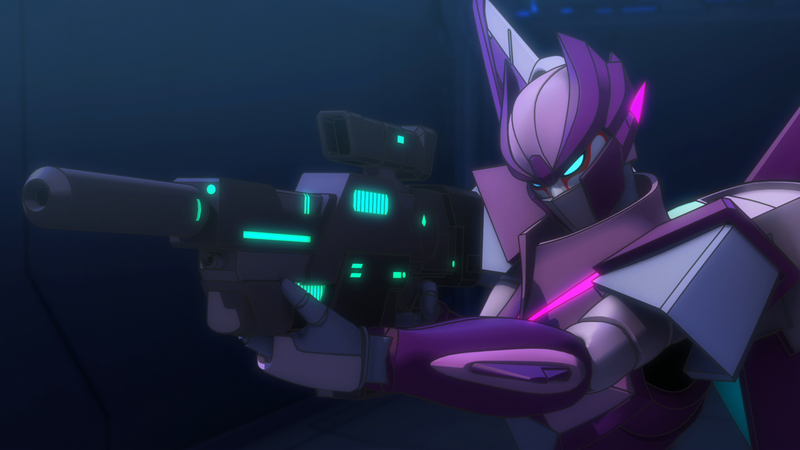 The focus is more on hand to hand than in shooting down your enemies and while Transformers Prime attempted this first, Devastation does it best. You’re essentially in a 3D fighting game while playing. There are numerous combos that you can use with each character and the weapons system allows you to keep crafting bigger and better weapons. You can also level up your characters to really get an edge in the battles. There’s even a counter/dodge system in place. Essentially, if you dodge right before an opponent attacks, time will slow down and then you can really hand out the pounding. The timing is surprisingly tricky and a nice test for your reflexes. The A.I. is also nice and strong on Normal so I can imagine that they are quite impressive on hard. To an extent, their ability to break any of your combos is a little OP and I did have to retry one or two bosses a few times as they could be OP at times, but the gameplay is really fun so you definitely won’t mind doing the battles again. The combat system is really good and it’s nice to see Platinum really give the game their all. That’s why it is disappointing that there is no multiplayer mode here. If ever a game needed a multiplayer option other than Mario Maker, it’s this one. Granted, the gameplay may be a little too advanced and intense to incorporate a multiplayer…that’s the argument that I can envision people making. If we can do Super Smash Bros or Dead or Alive, I’m sure that this game could have pulled it off. It would have added some nice replay value and simply would have been a great feature to have at the ready. The graphics are very good. The faces could be surprisingly cartoony at times as the villains will make all kinds of faces at you, but it’s all in good fun. G1 was a great series in part because of its great character development and action, but also for the camp factor. I also liked the cutscenes where the heroes got to fight, albeit briefly and seeing more of that would have been awesome. The visuals certainly hold up quite well and I dare say that the game looks better than the other Transformer titles. It’s close though since the War for Cybertron series does look quite good. In terms of music, there’s never been a Transformers game that was more impressive. Just about every musical piece is a guitar strum or some kind of epic rock music. Your blood will be pumping through every fight and the game feels that much more epic. It’s like being in an episode and you can duke it out with all of the classic villains. There are 3-5 bosses per level and that means you will be in store for quite a lot of action. It’s why I recommend saving your signature skill for when they show up. Due to getting the game through Gamestop, we got Nemesis Prime and the Dark Starsaber unlocked from the get go. I equipped it after the first 3 missions and the weapon is quite useful. The shockwaves that it sends out are huge and deal a considerable amount of damage. You don’t have to worry about it becoming pay to win as you can easily find comparable sword attack-wise within the game, but the visuals are what really makes the weapon a lot of fun to use. You can opt to mainly use guns, but close quarters combat definitely has the edge in this title. This game would have been an easy 9, but the story mode’s short length is definitely something that needs to be mentioned. There are only 7 levels and while the first two are decently long, they get a lot shorter after that. I beat the game in around 3 hours and did have fun grabbing some collectibles so it’s certainly possible to complete it quicker than t hat. Sure, there is replay scattered throughout the game, but without a multiplayer option either, I feel like deducting a star is worth it. Especially for the current price. Drop it down to 20 and that will help your case. As for what the replay value entails, there are a lot of collectibles throughout the levels. That will take you some time to grab them all. There’s also a Mission Mode with 50 missions to tackle and they were pretty fun from what I saw. You’ll mainly be replaying parts of the story mode there. Finally, you also want to get all of the trophies to obtain the Platinum. The trophies are fair and don’t seem too hard, just time consuming. In a sense, all Platinums should be this way as you should need dedication without trying a level 1000 times. It’s a fair compromise I’d say. Don’t forget to stick around for the after credits scene. It sets up the sequel quite well and you can tell that the boss will make for an intense antagonist. I’d be very hyped for a sequel although it’ll hopefully have a multiplayer mode or be a little longer. I feel like Platinum was aiming to make this title feel like an Arcade Game with its dynamic action scenes and quick soundtrack. If this was an Arcade Game, then 3 hours wouldn’t be so bad. I definitely trust that they will continue to make the gameplay 5 star material in a sequel. Overall, if you’re a big fan of the original Transformers anime, you’re going to love this title. If you like action games where you are constantly fighting, then this is also right up your alley. The game really handled the gameplay perfectly and did justice to the Transformers name. Few franchises can say that they’ve consistently had 8 star games over and over again, but Transformers manages to pull it off. The only game in the franchise that I didn’t care for all that much was Animated and it still wasn’t downright bad. If you picked this up, let me know what you thought of it. Transformers threw in a comic for Free Comic Book day, which is pretty neat since the new TV show airs on Saturdays as well. While it may be less plot oriented than some of the other shows, G1 was like that for a while and look at how much fun it is. Robots in Disguise isn’t ready to take on Prime just yet, but it’s been a very fun show and I don’t see that changing. This comic is really similar in that regard. A Decepticon bird has appeared in the area and he is trying to get back to Cybertron. The Autobots must now get him away from the amusement park before the humans begin to suspect that something it up. Can Bumblebee and his team defeat this foe in time? The comic really came at a good time since the episode in the TV show today featured a Decepticon bird. Coincidence? I think not! 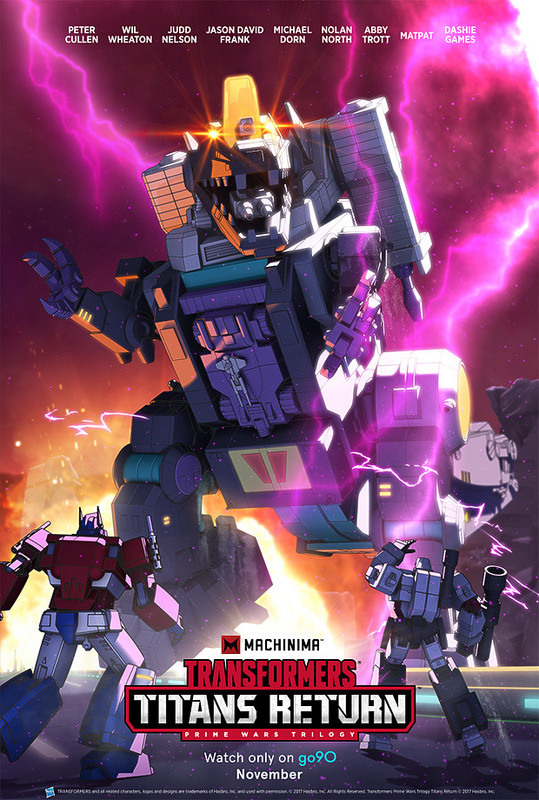 There are a lot of villains who escaped in episode 1 so it makes sense that some of them should also be captured in the comics unless we’re actually going to have over 100 episodes of just catching Decepticons. Some of them will be off screen so putting them in the comics is a safe bet. The story is fun to read from start to finish and it is one of the main reasons why I liked the comic. Remember what I was saying about Jurassic Strike Force 5 in my earlier review? Transformers is using the same techniques as that series, but they are doing a better job of it. For starters, the characters are more likable and that’s already a big win in my book. It’s like Sonic Boom or the Sonic Comics. There are action scenes, but the dialogue also flows really well and this results in a complete comic. 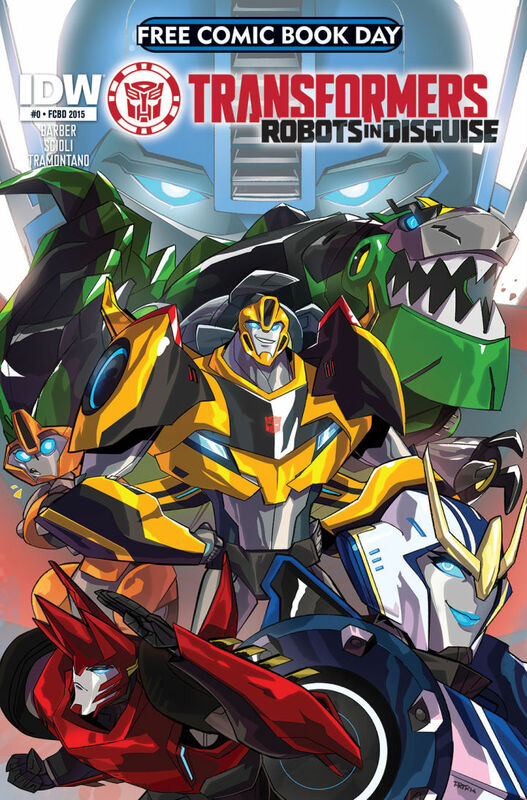 The Robots in Disguise comic series seems to be off to a very good start and I will definitely be on the lookout for trade paperbacks once the Library orders them. This comic also did something that most of the issues on Free Comic Book Day did not do. It had a cliffhanger of epic proportions. Let’s just say that the characters of the Prime series are not pleased with Bumblebee’s exploits and now they are going to take matters into their own hands. Unfortunately for Bumblebee, I have to say that his team really has no chance here. Arcee outranks Strong Arm and Grimlock can’t match up to Bulkhead. The only chance for Bumblebee will be to see if he can team up with Sideswipe to beat Ultra Magnus. It will be a stretch though and this could end very badly for the new team. I can’t even blame the Prime counterparts as the main team is cutting is really close lately. They’re flirting with danger in just about every comic/episode and the humans only haven’t figured anything out because they don’t seem to be as smart as the average joe. With the stakes climbing up and the plot starting, the series has nowhere to go, but up! As for the art, it is standard TV show cash in stuff. The faces can look pretty off model at times and particularly the characters’ mouths. You should see Strongarm try to do a scowl! On the bright side, the action scenes can still look good and I did like the art on the final page. It’s just going to be constantly uneven and changing so it’s nowhere near the level of art that Marvel and DC possess. Hopefully, experience will help it along as the series goes on. Overall, Robots in Disguise is really starting to make a name for itself. On the Transformers totem pole, I think that it is safe to say that it beats Beast Wars, Animated and Rescue Bots while losing to G1 and Prime. I don’t really see it passing those two for quite a while if ever, but it just goes to show how good Robots in Disguise can be. The art was not the best, but at least it is rather streamlined and you can chuckle at some of the face expressions. IDW’s next comic is going to have a tough time beating it. It’s time to review the Transformers trilogy that came out a while back. These three books all take place in the film continuity, which can make longtime fans groan. Not to worry, you wouldn’t even notice if not for a few key references. None of the characters are quite as bad as the movie counterparts and the writing is certainly a lot better. 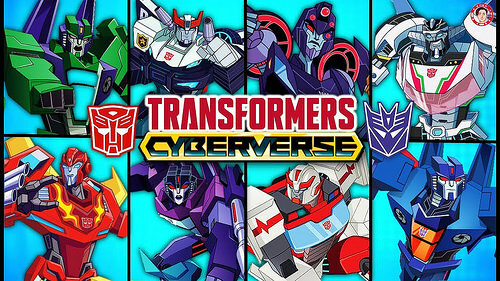 This feels like a real Transformers adventure and it was a pretty fun ride from start to finish. 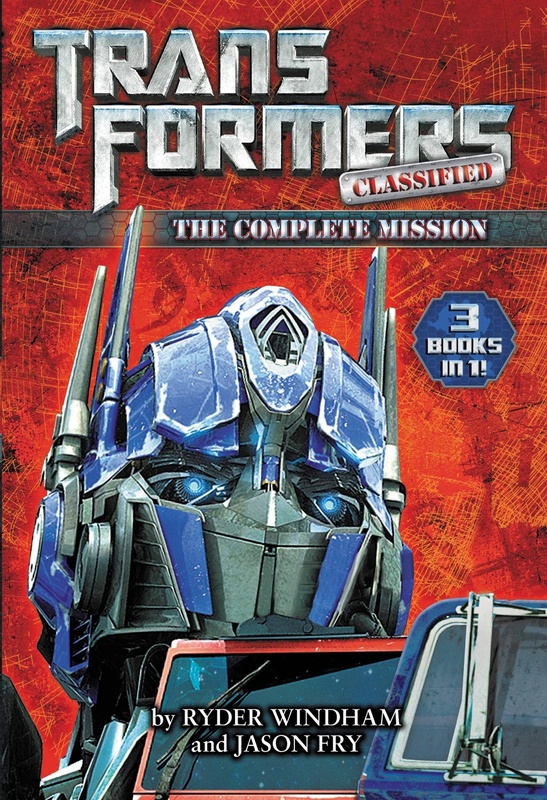 The first book is mostly the set up as we meet the Autobots and get to see them take down a few Decepticons. After that, we shift to Kevin’s point of view. He can’t get any homework done at his friend’s place due to a party that is going on so he heads off. 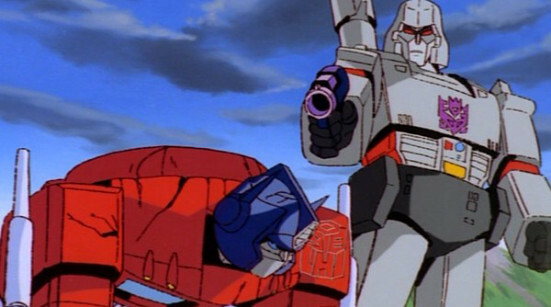 He meets up with an Autobot named Gears who is currently looking for a special location to protect it from Decepticons. It ends up being hidden under a real government base so Kevin agrees to tag along so that he can finally get in on some action. Things get tricky when a Decepticon named Reverb tricks Ratchet into believing that he’s an Autobot and that they have to destroy Gears. This will definitely test the bonds of friendship between Autobots and Kevin will have to move quickly if he wants to survive this! The second book gives Duane a bigger focus as he realizes that he needs to get closer to the heroes. He plans for his minions to steal some super tanks that a company has developed so he leads the heroes on a wild goose chase onto the next special facility. It actually turns out to be pretty useful and he works on earning Kevin’s trust while Reverb and the Decepticons attack the tanks and the Autobots. Can the heroes save the tanks or will they have to go back and make sure the Kevin and the scientists are okay. Meanwhile…when are they going to find Douglas? Book 3 concludes the trilogy and I wish that I could say how it ended on a bang, but I really did prefer book 2. Duane places all of his cards on the table as he attacks with his tanks. 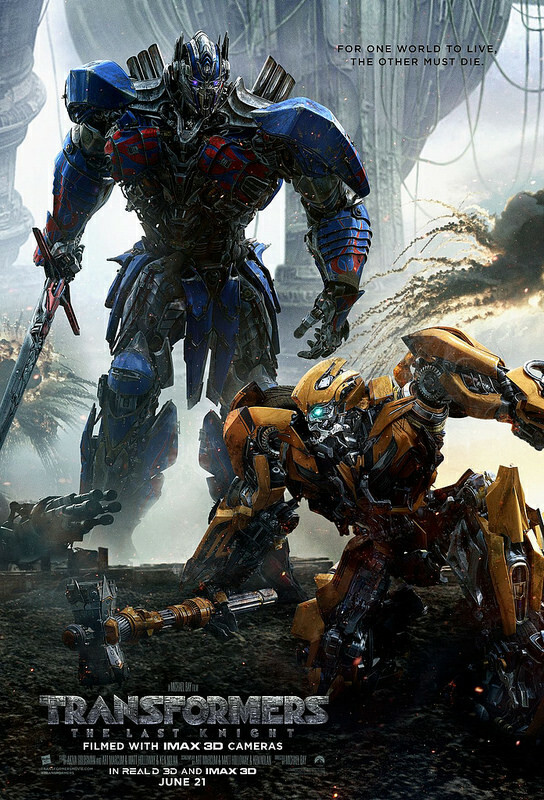 The Autobots naturally counter, but a scientist decides to destroy all of the Transformers as he launches a satellite that will emit a code that will wipe them all out. Kevin and Gears decide that the satellite is the true priority and Reverb wants to live as well so a race against the clock starts. Meanwhile, we have insect worms that have invaded Earth and they are also attacking Douglas on the other planet. (Which actually gets a decent amount of screentime here as a subplot) One way or another…it all ends here! Optimus Prime may not get a huge role in this trilogy, but it still may be a little bigger than you may have expected. He is guaranteed to get a fight in each of the three books and that’s always pretty fun. He takes down his the first Decepticon rather easily in book one and he also crushes the worms in the final book of the trilogy. (During the re match anyway) The only fight where Prime is on the losing side is when he faces off against Reverb and it’s mostly due to the fact that none of the Autobots or Decepticons are very athletic or quick, but I shall talk about that more in a bit. This is a pretty accurate depiction of Prime and he’s awarded the respect that he really deserves at this point. He seems to be a little more eager to convert Decepticons into Autobots here than usual, but he does ultimately want the war to be over. He can just be a little too naive in this when a single blast can change the course of a battle. He risks his spark with this decision more than once. Gears is the main Autobot in this trilogy since he’s always hanging out with Kevin. His personality is pretty similar to Bulkhead’s or the green robot in Rescue Bots. He doesn’t really understand all of the Earth customs and such yet, but he still tries to help Kevin through his many hardships. Gears can be pretty cheesy though and he’s not the greatest fighter. He can definitely fight if he has too, but his leg is almost always injured. He beats Ratchet and Bumble Bee, but he’s not going to stand out after the trilogy ends. Bumblebee looks pretty bad here. He doesn’t fall into any character holes, but the author must think that he’s the weakest Autobot of all time. Bumblebee doesn’t get to win any fights here and he is constantly crushed by random Decepticons. He always “talks” tough, but Bumblebee is the first one to hit the ground. He’ll charge at the villain, but they always seem to be quicker and stronger than him. It’s true that Bumblebee isn’t the toughest Autobot around, but he’s still a tough warrior and he gets the job done. I at least expect Bumblebee to put up a decent fight. That never happens here and Bumblebee’s role is very small, which doesn’t help either. The only Autobot who may appear less than Bumblebee is Ratchet. Ratchet doesn’t look very good either since he can be worse than Prime when it comes to falling for Decepticon traps. The odds of Reverb actually being a hero are slim to none and he was very suspicious the entire time. Ratchet should have been prepared for such a course of action and he rarely helps during fight scenes. He has a cool buzzsaw, but you have to actually land attacks with it to make a difference. He gets to take down some of the worms and a Decepticon somewhere down the line, but he could have been a lot better. We need more fighters and less medics for the heroes! Typically, I don’t like Ironhide, but he was actually pretty good here. He is always bragging or putting up a tough front. That can get old fast, but it’s good to see that at least one Autobot is always ready to fight. Considering how many Decepticons are around, The heroes definitely need more Ironhides. Despite his claims, Ironhide still isn’t that much tougher than the others. He has a lot of weapons, but he still struggles to beat a human tank and he is also quickly shut down by Reverb. He’s not a bad character, but he’s going to have to get stronger if he really wants to earn a rep. I am glad that he didn’t fall for Douglas’ tricks though. Reverb is the main Decepticon and he’s really the only one to actually get a role here. He’s not ultimately powerful, but he can give Gears’ a good fight. He certainly knows how to get back on his feet though since he appears in all three books. He gets an energy shield, which immediately makes him stronger than the rest of the Autobots. It’s a little sad for the heroes, but it certainly gives Reverb bragging rights. He’s pretty generic, but as far as villains go, Reverb was all right. I should remember his name for a while now and he doesn’t let the humans boss him around. Kevin is basically what you may expect from your average main character. The book does a good job of keeping him away from the romance angle and he just wants to have a good time. He does come with a tragic backstory though since his parents were taken out by Decepticons. Things get even worse for him after the first book as his brother is also taken away. Kevin manages to be pretty likable when he’s on screen although he can be a little wishy washy sometimes. He talks back to government officials as well as Autobots and Decepticons. Nothing can faze him and it’s pretty intense. He blew up at his friend in book 1 rather quickly though, which may make you doubt whether he makes for a good friend or not. All things considered, he’s a lot better than he could have been. Duane is the main human villain of the trilogy. It’s not really a spoiler to say this because we find out pretty early on that he’s the main villain. He is rich and he just wants his Dad’s big inventions to fail so that he can prove to his father just how good he is. He’s willing to destroy just about anyone to further these ambitions and he’s very good at controlling technology. He can definitely be a handful for the heroes, but he definitely has the skills to prove why he can be useful to both sides. I think his character development in book 3 is very rushed though since an accident forces him to do a complete 180 on his plans. I don’t know…the whole thing happened without a lot of foreshadowing. It’s just hard to picture him changing so drastically because of the one event. I think the series may have been planned to be longer than 3 books or the author just lost track of time there. Still, Duane may be the best human villain that we’ve seen in Transformers since the Hunter in the original show. Douglas is Kevin’s brother and he’s a pretty noble character. The author tries to portray him as the ultimate hero. He’s a tough commander, but he still makes time to joke around and become buddies with all of his subordinates. His will to survive never wavers and he’s firmly planted on the side of justice. He can be a little too strict at times though and Douglas tends to be very slow on the uptake. The author really tries to force you to like him, but that’s more or less okay since he’s a solid character. (Of course…that’s the point of the plan…) I wouldn’t have minded a book about his journeys on the planet. Simon Clay is another villain whose character development goes through a radical change between books 1 and 2. You can even argue that it started towards the end of book 1. He was a capable villain at first and then he is completely used for comic relief in the final two books. He’s terrified of the Decepticons and he’s even scared of a kid. (He doesn’t know that his boss is a kid of course, but it’s still pretty embarrassing) He’s always running away or stuttering when Reverb is around and it’s pretty sad. I liked him a lot in book 1 and after that you can only like him in a comic relief way. I actually don’t mind that form of him, but you simply cannot try to be both serious and comic relief. You have to choose one or the other or you will fail at both. That’s what happens to Clay. Let’s address the power levels of the Transformers. This is the movie continuity so it explains why they’re so weak, but it can be a little sad to fans who only watch the shows. The government’s tech is already almost up to par with the Transformers’ and it’s heavily implied that it is superior. The 1 on 1 battle between Ironhide and a tank ends with the Autobot’s victory, but Duane was holding back so throw away any suspicions that the heroes may have gotten. The scientist was also able to create a ray that could destroy all of the Autobots, but the heroes admit that it may not have worked anyway. Basically, a simple missile can deal critical damage to a Transformer and the government also has liquid metal that can instantly KO them. The Transformers are in a very dangerous pickle here. What can also be a little annoying is that all of the Transformers seem to be more or less equal power wise. A good shot from a blade or a gun can KO just about anyone. The Autobots typically win because they attack first or land the opening blow, but the Decepticons really seem to have an even chance if they would only land a blow. I think there should be more of a gap between someone like Prime as opposed to the average Autobot. Overall, This is a pretty great trilogy. We get some nice fight scenes and the human characters are actually pretty interesting. My only warning is that you should not expect the Transformers to operate under many tiers as mentioned earlier. 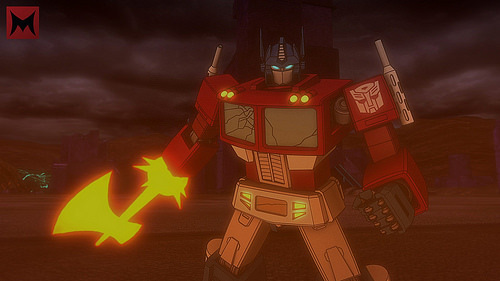 There isn’t much that separates someone like Optimus Prime from someone like Ratchet. They’re more or less equal when it comes down to a fight, which makes things dicey against Reverb. The second book is actually the highlight of the trilogy, but the third still does have some fun action with Douglas and his party as they try to survive on the blue planet. Drama, Suspense, Action…this trilogy has it all!